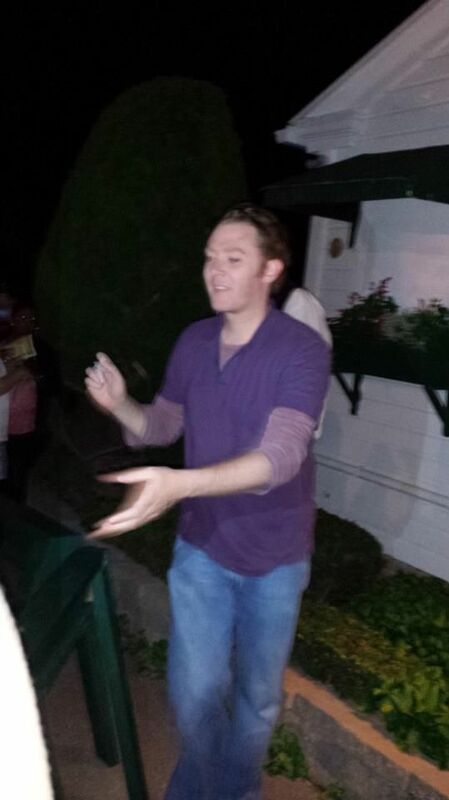 Clay Aiken – Simply Amazing! 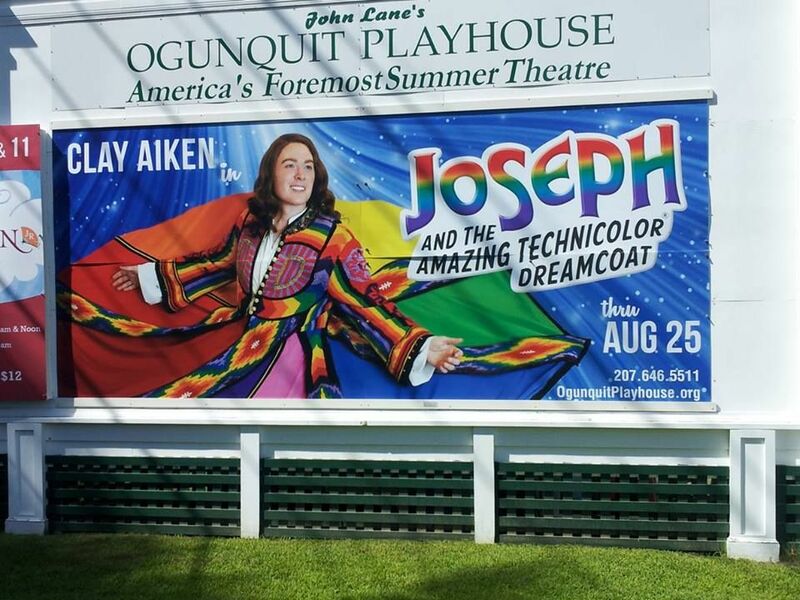 The following are some of the comments sent from Clay Aiken fans about Wednesday’s performance of Joseph and The Amazing Technicolor Dreamcoat. Ladies behind me debating on whether or not he’s wearing a wig. Haha! Everyone loves him. Lots of applause. Wig is different than in the promo pic. Looks lighter & more brushed back off his face. Close Every Door or whatever it’s called was GREAT, lots of applause. No loin cloth yet, just white linen, white sandals. Intermission right now. “Close Every Door” was freaking amazing. But his mic needs to be a little louder when he’s hunched over on the ground singing the beginning. Stage right is where the narrator stands quite often and within the first few rows he can be hard to see because of her. For all the lovers of his lower register “Close Every Door” will be very happy. Intermission ending! Intermission ending. Everyone nearby talking about how great he is! Yayyyy! My friend who is there reports “goosebumps” and “teary eyes.” Says Clay is “adorable” and he’s hitting the “OMG notes.” Says the audience is whooping and hollaring after he sings – they’re loving it!!! Says he looks so “damn cute” and she wishes it was really his hair. Finally, she said they were told if they saw someone with a phone on, they would be escorted out. You are all the Best!! Stagedoor – From Scarlett! THANK YOU! If there is any different information or pictures tonight, I will post tonight…otherwise, I will post more tomorrow! THANK YOU! THANK YOU! THANK YOU! And another thank you to those who left comments for those of us at home!! Thank you so much for the reports. 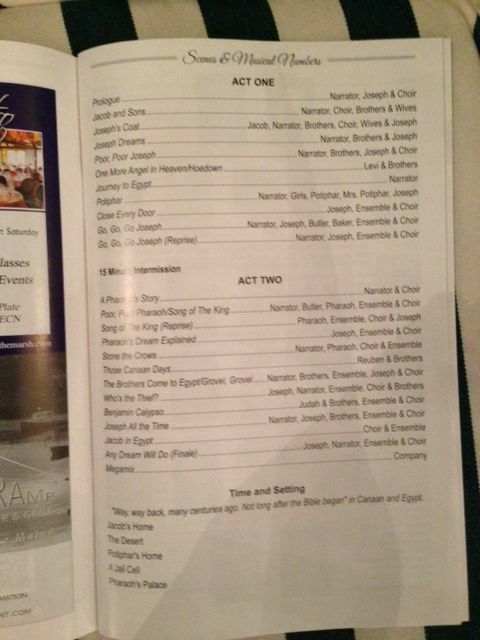 I was out all evening, and was please to see that Clay was fantastic as Joseph. I knew he would be…but it is always nice to see it in print!!!!!!!!! Thanks so much for the info folks, it sounds like it was a great show, wish I'd been there, hope to see more info on the show, wish we could get highlights like we got from the 'Drowsy Chaperone'. Oh wow! Can't wait till the 16th! He looks GREAT in that picture that Scarlett posted!!! It's awesome to hear all the reports from the opening evening show! Hold me back, hold me back! even if I can't go to a show this time. Just need to know he is being showed the love – all is well!!! How exciting to read all these posts! I wondered if Clay would come out after the show to visit his fans. Now I know to wait by the "stage door". Thanks so much to CANN for the photo & comments. Thanks to Scarlett and Musicfan for the pictures and info on Clay. Wish I could be there. You two are the best, we all appreciate the posting of Clay's performance! Those of us who couldn't be there for the play, love you guys for all you do. I knew Clay would do so well and the audience will applaud him every night with standing ovations. He is truly the best. Always a fan and true supporter! Thanks for sharing the photos and stagedoor video! I was at the first performance, Wednesday night – loved seeing Clay again! You can see my pictures and blog post about the evening here: http://www.claykat.blogspot.ca/2013/08/seeing-cla…. Thanks for sharing your blog with us! I am so glad you got to go to the show. I will be there for the last few shows! Thanks for your comment! I'm glad to hear you will get to the show too – by the last shows, Clay will be even better! Enjoy! Y'all are making me hot & bothered!!! Wish I could go & see him in person!!! Darn you, Clay for being all the way up in Maine!!!! Hope everyone who's going has a WONDERFUL time. Clay-Come back to O-H-I-O soon, ya hear?!!! I miss him!!!!! Error: Error validating access token: Session has expired on Tuesday, 21-Aug-18 16:13:01 PDT. The current time is Thursday, 18-Apr-19 12:13:01 PDT.